It hath been decreed: Spielberg has acquired the rights to produce a film depicting the life of Martin Luther King, Jr., Variety reports. Spielberg will co-produce alongside Suzanne de Passe and Madison Jones. No word yet on whether or not he'll direct as well (I mean, shouldn't he be working on Lincoln?). And, of course, no word on casting yet, but I can think of someone who'd do a great job. 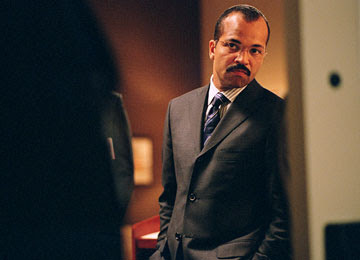 This may be the most appropriate usage of this phrase ever: I only love Jeffrey Wright.